Following the neurosurgeons of John Radcliffe Hospital. The parents of two year old Raj face an unimaginable dilemma. Ray has a brain tumour which could kill him. The parents of two year old Raj face an unimaginable dilemma. Ray has a brain tumour which, untreated, will kill him within months. Doctors at Oxford's John Radcliffe Hospital can operate but the surgery carries a high risk of paralysis. At the hospital's Obstetrics Department, a pregnant mother faces a comparable issue. Her unborn baby has serious spinabifida - and now an ultrasound scan shows what might be a tumour on his back. She must decide whether to continue with the pregnancy. Patients like these often become 'frequent-flyer' cases for brain surgeons like Jay Jayamohan. 'You know when you take these kids on they're going to be with you for your entire life', says Jay. We meet 19-year-old Jack, who Jay has been treating for eight years. Jack was born with Crouzon syndrome, a serious genetic abnormality which affects every cell in his body. He has had, so far, 27 operations. We meet him during yet another hospital stay - this time for 11 weeks - as Jay and his colleagues battle to control a leak of cerebral fluid from the back of Jack's head. 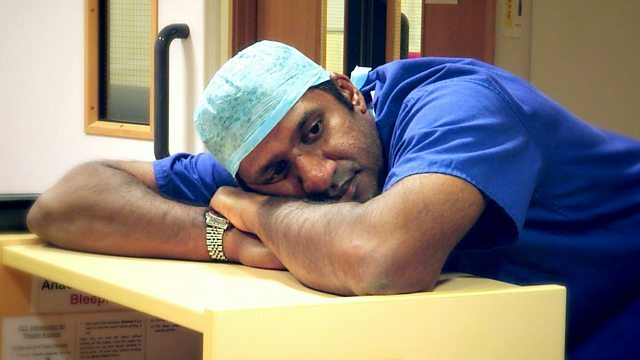 In this series, we see the dramatic and cutting edge brain surgery performed by Jay and his colleagues in Oxford and we see the personal cost to the patients and doctors who have to make often agonising decisions.